But, my mind full of thoughts, both good and bad, has overtaken my attempts at reassurance. More deep breaths and I manage to calm myself down enough to get up. I focus my attention at getting ready for the day. Then I enter the shower and the sensation of water on my chest makes it all come flooding back. More deep breaths and focus on washing my hair help me make it through this part of my day. I manage to get ready and make my way downstairs. Usually one or both of the big kids are already up and watching some television. I take a moment in the kitchen to take a few more deep breaths and then turn my focus to all the things that need to get done before school time. I ask the kids to get dressed (they protest), more deep breaths. I start to assemble breakfast while reminding the kids that they must get dressed before they eat. More protests. Suddenly, my breath feels too shallow and my chest pain is back. More deep breaths. Heart racing, powering through helping the big kids get dressed and to the breakfast table. The kids are now eating and asking for anything and everything they need in the moment. I'm struggling to stand up and deep breathing like a woman in labor. My mind is saying things like "You are fine. No you aren't! You can breathe. No you can't!" Back and forth, back and forth. It feels like someone is sitting on my chest. More deep breaths. The youngest wakes up for the day. I need to change her diaper, get her dressed and get her breakfast. I make it up and down the stairs and put her on the couch to take a quick mental break. Everything is racing at this point. Anxiety disorders are the most common mental illness in the U.S., affecting 40 million adults in the United States age 18 and older, or 18% of the population. ( Source: National Institute of Mental Health) If you know someone that is struggling with anxiety, please understand that they aren't "choosing" to suffer and help them find a health professional for support. Join me next week where I'll talk about what I've been doing to help with my anxiety and the healthy professionals I've added to my arsenal. 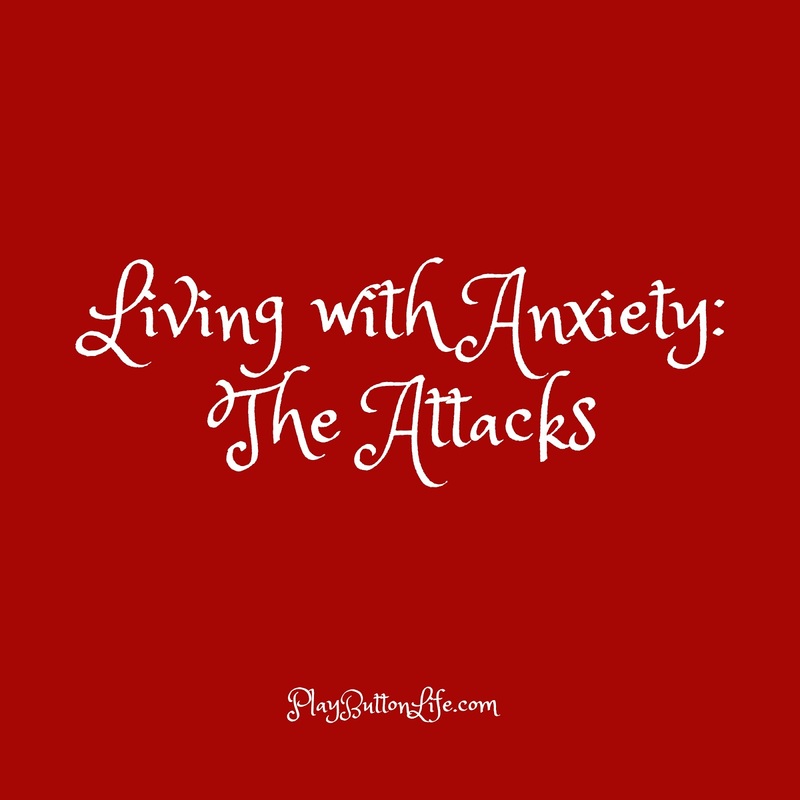 I want to commend you for sharing your struggles with anxiety and bringing attention to this condition. It has been a year since my mother died at age 87. She suffered from a severe anxiety disorder most of her life and as she got older the worst it became until she was no longer functional. I cared for her full time for the last 9 1/2 years of her life after my father's death. In fact, I learned to "care" for my mother from a very young age. My father would leave for work and say to me, beginning around 5 years of age, "Take care of your mother." I thought it was a normal thing for father's to say to their children. My mother had multiple phobias that would trigger anxiety attacks and I was the brave child who would "protect" her from these things while my father was at work. Eventually no one could protect her from her own anxiety and fears. She stopped going places, stopped driving a car, stopped leaving her house, stopped leaving the room she was in and eventually she refused to leave the bed she was in. She also refused to admit SHE had a problem, the rest of us had a problem, not her. No amount of intervention helped. She refused to see doctors or take any medication. She did self-medicate with alcohol for about 20years. You are doing so much better than my mother ever did by admitting you have an anxiety disorder and seeking help. You are helping yourself and your family by doing this and I know it takes a lot of courage to do this. Don't give up! 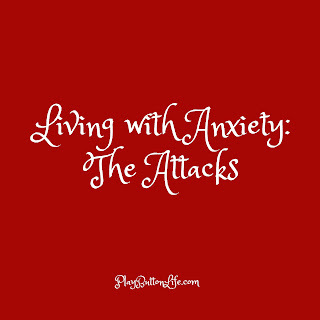 When I began having anxiety attacks as an adult, I began seeing doctors, including a psychologist and was on medication for a year until I learned biofeedback techniques to help me cope with the attacks. The anxiety is always there but I can stare it in the eye now and win the battle. God Bless you and be with you.